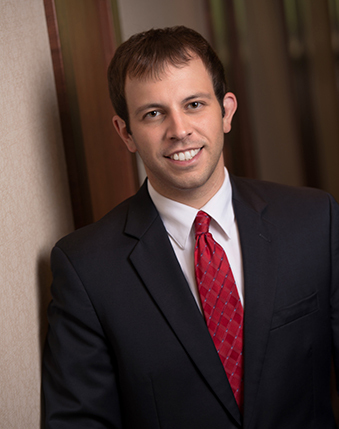 Rick Halbur focuses his practice on banking, commercial litigation, employment, agriculture and estate planning. He provides client-centered representation to his individual and corporate clients. He received his Juris Doctor of Law from the University of Minnesota Law School. He is also a graduate of the University of St. Thomas where he obtained a Bachelor of Arts Degree. Rick brings to his practice extensive experience in agriculture acquired while working on the family farm and researching and executing a variety agriculture, real estate, banking and estate planning matters. Attention to detail, strong communication skills and creative problem solving are all attributes that Rick brings to his practice. In his spare time Rick enjoys hiking, canoeing, traveling and spending time with his family. Rick resides in New Ulm with his wife, Annemarie and their daughters, Monica and Sophia. Rick Halbur has represented multiple banks and lenders in a wide array of banking and bankruptcy-related litigation. For example, Rick represented a lender in a bankruptcy case where his client had a secured claim in excess of $17 million. Rick also represented a bank in litigation involving the enforcement of a $400,000.00 mortgage and associated personal guaranty. Rick also has extensive experience representing lenders in foreclosure actions valued in excess of $500,000.00. Finally, Rick also represented a lender in a breach of contract action involving the non-payment of crop insurance proceeds, and Rick’s success in this case was affirmed on appeal by the Minnesota Court of Appeals.